Specific Gravity is defined as the ratio of Weight of Aggregate to the Weight of equal Volume of water. The specific gravity of an aggregate is considered to be a measure of strength or quality of the material. Aggregates having low specific gravity are generally weaker than those with high specific gravity. This property helps in a general identification of aggregates. 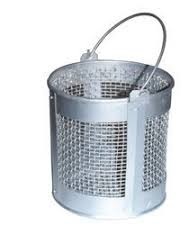 Wire basket of not more than 6.3 mm mesh or a perforated container of convenient size with thin wire hangers for suspending it from the balance. The aggregate is placed in a shallow tray and heated to about 1100C in the oven for 24 hours. Later, it is cooled in an airtight container and weighed. A clean, dry pycnometer is taken and its empty weight is determined. About 1000g of clean sample is taken into the pycnometer, and it is weighed. Water at 270C is filled up in the pycnometer with aggregate sample, to just immerse sample. Immediately after immersion the entrapped air is removed from the sample by shaking pycnometer, placing a finger on the hole at the top of the sealed pycnometer. Now the pycnometer is completely filled up with water till the hole at the top, and after confirming that there is no more entrapped air in it, it is weighed. The contents of the pycnometer are discharged, and it is cleaned. Water is filled up to the top of the pycnometer, without any entrapped air. It is then weighed. 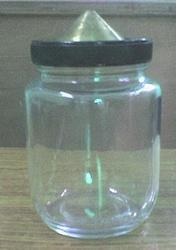 For mineral filler, specific gravity bottle is used and the material is filled upto one-third of the capacity of bottle. The rest of the process of determining specific gravity is similar to the one described for aggregate finer than 6.3 mm. The specific gravity of aggregates normally used in construction ranges from about 2.5 to 3.0 with an average value of about 2.68. Specific gravity of aggregates is considered as an indication of strength. 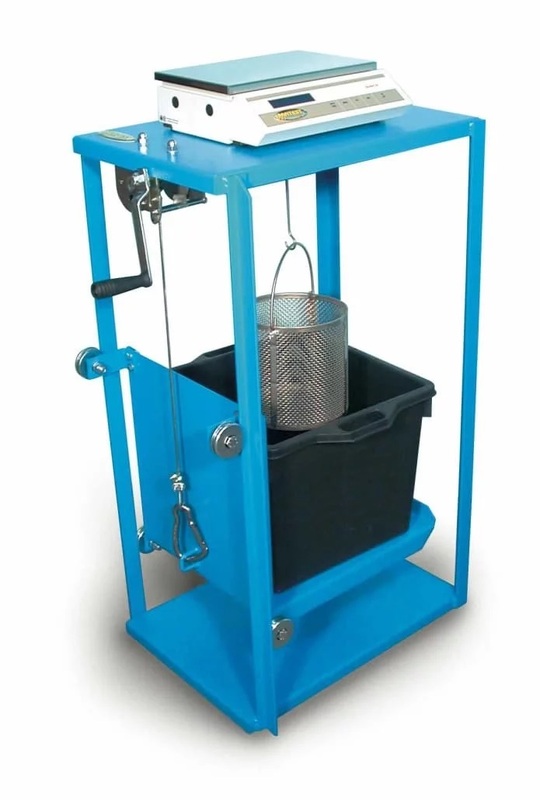 Material having higher Specific Gravity is generally considered as having higher strength. Water absorption of aggregate is a measure of porosity. This value is considered as a measure of resistance to frost action, and as a measure of sustaining weathering action.